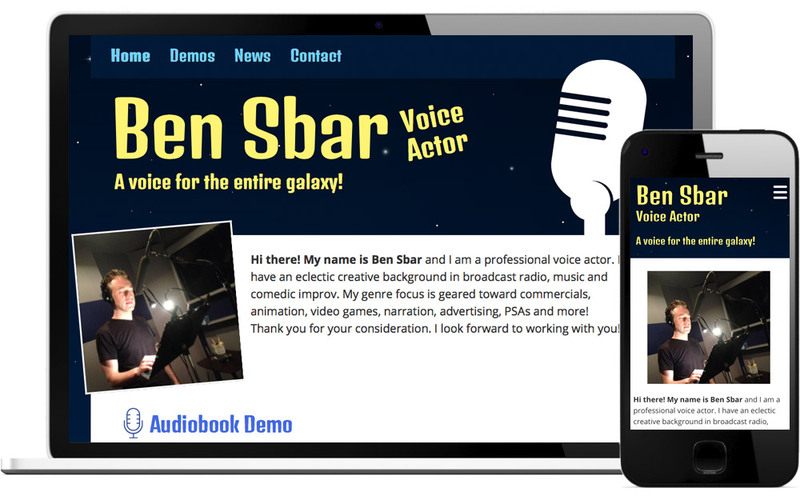 My client needed a site to promote his voice acting business, and to provide audio demos to potential clients. He wanted a unique design that would be both easy to use, and communicate his personality. We ultimately decided on a science fiction theme, loosely inspired by classic science fiction movie posters. We chose WordPress as a content management system because my client was already familiar and comfortable with it, and it fit the needs of the site. I mocked up some designs in Photoshop, and when my client approved, I used the Bourbon mixin library, along with Bitters for scaffolded styles and Neat for a quick responsive grid, to speed development. To ensure the graphics look crisp at any screen size, I used the SVG format wherever possible, including the header microphone image and widget icons. The website has helped my client make new contacts and land new business. I have plans to enhance it in the future with new styles for the media player and some fun animations.